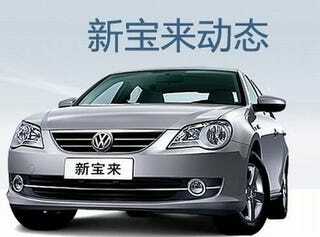 After the difficult to pronounce in the local market Volkswagen Lavida premiered at the 2008 Beijing Motor Show, we thought that was going to be it for China market Vee-Dubs. This is where we would be wrong, apparently those tricky Germans have debuted the Volkswagen Bora as well. The Bora rides on the same platform as the Lavida, but has a shorter nose-to-tail measurement and styling which touts the VW design language a bit better. In other news, VW China has creepy models.